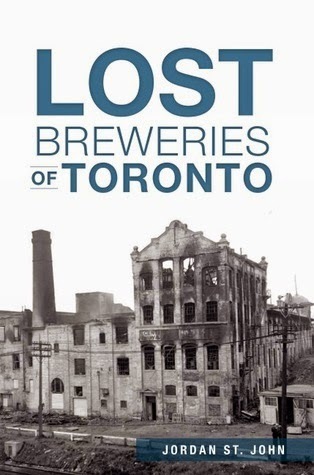 From Goodreads ~ Explore the once-prominent breweries of nineteenth-century Toronto. Brewers including William Helliwell, John Doel, Eugene O'Keefe, Lothar Reinhardt, Enoch Turner, and Joseph Bloore influenced the history of the city and the development of a dominant twentieth-century brewing industry in Ontario. Step inside the lost landmarks that first brought intoxicating brews to the masses in Toronto. Jordan St. John delves into the lost buildings, people and history behind Toronto's early breweries, with detailed historic images, stories both personal and industrial, and even reconstructed nineteenth-century brewing recipes. I like beer. 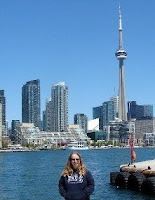 I like learning about the history of Toronto. So I thought this would be an interesting book. Gord had read it in January and enjoyed it. There are 17 chapters covering breweries here in Toronto from 1800 to the 1960s that are no longer around ... like the Spadina Brewery (hard to believe it failed because Kensington Market was so far out of the downtown core! ), O'Keefe Brewery and Joseph Bloore's Brewery. There is a chapter about John Farr's Brewery (1820 - 88), which used to be on Queen Street W (in our 'hood). Gord and I had gone on an interesting Heritage Toronto walk in June 2012 called Between the Bridge and the Brewery: Trinity Bellwoods Neighbourhood and we learned a bit about Farr's brewery (his house, which was built in 1847, still stands ... the brewery next door had burnt down and there's a condo on the space now). The majority of the earliest brewers in the city were typically from England, middle class and literate. Many of the breweries in those days needed to be rebuilt because of fire. It was an interesting book. Along with the information, there were also some pictures and drawings of the breweries and pictures of the labels that were on the bottles. It would have been nice, though, to have included a map of Toronto today with the locations of where the breweries once were. Family trees would have been helpful too since there were fathers and sons in the businesses, plus intermarriage among the different brewery families along with new owners from other breweries. Wouldn't it be fun to be able to travel back in time and visit these breweries?